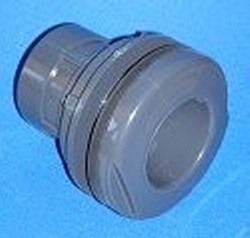 Schedule 80 6" bulkhead fitting (6" slip socket on the front and back) With Neoprene gasket. 150psi at 73F rating. NSF-61 Potable Water Rated. (EPDM and Viton gaskets available at additional cost, please email us your needs. Thank you.) 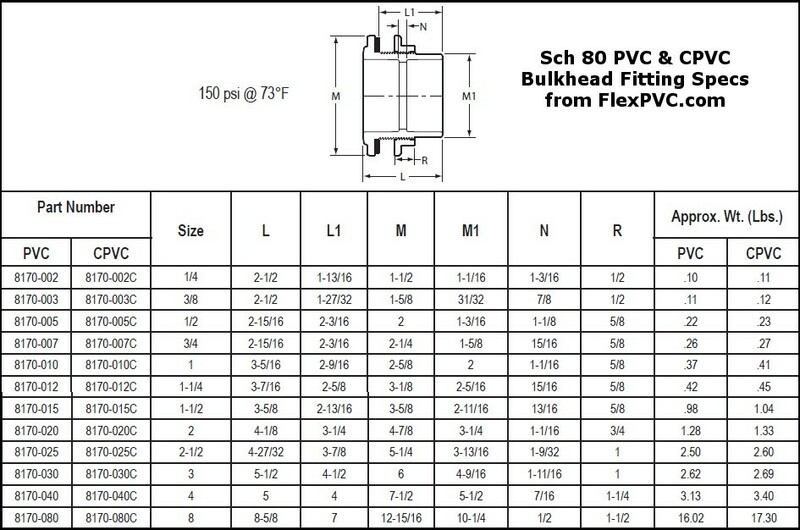 Dims: Overall Diameter of Flange 9-15/16", hole diameter 8", Depth of threads 4", Overall depth 5", wall thickness 0-3". Click here for specs (M1 is the hole diameter).